last night i was in davis square and walking passed by Amsterdam Falafel Shop. although i already had din din at Toraya, i still wanted to try it. ive never had falafel before. this was my first time. ‘Falafel is a deep fried ball or patty that is made from chickpeas or fava beans and spices. It is a vegetarian food, and is considered to be a fast food, many times offered by street vendors. the menu is very simple. you can either get small or regular and white or wheat. i got the small and wheat since i already had din din. i didnt read the topping strategies til now because i was busy taking pix. man i did not CRUSH MY BALLS lol. make sure you do that so the sauce and get into the balls. i had garlic sauce and tahini. a lot of toppings to choose from. im not a big vegetarian person but i did enjoy my falafel a lot!!! even i had a full din din!!! the balls were perfectly fried and the toppings are fresh and tasty!!! i would def get it again if im in the area. they have this store in DC too!! i thought this was pretty good too, the sauces they have for their fries are also varied and good, especially the curry ketchup. i’m not a huge falafel person either, but i like how you can customize and put whatever you want on it here. 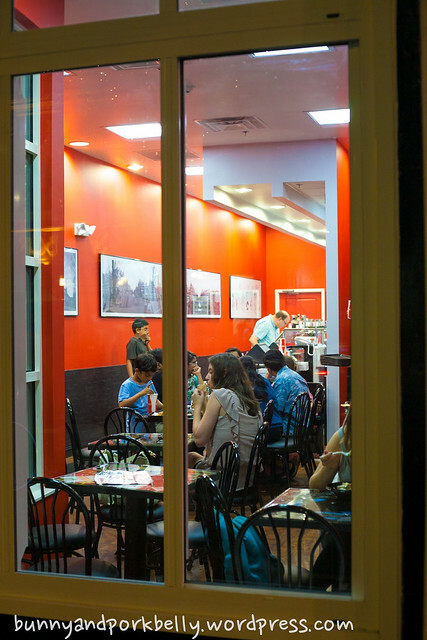 for falafel elsewhere, i think clover is probably your best bet. haha i did try curry ketchup too, but i put bunch of sauces in mine so i couldnt tell which was which. good stuff. its like a good version of subway 🙂 keep healthy world. Looks delicious! I can’t believe how many topics you have to choose from. I live in Boston and although I’m not a foodie I love food. I never knew what a falafel was and am slow to try new items unless someone else has tried it first. I think I’m going to have to stop by here because your pictures make it look so good! it’s pretty good i was surprised cuz i was never into vegetarian food. Your photos are awesome! I love any food that can be customized on the spot: falafel, tacos, ramen… YUM! Thanks for liking my post, Getting What You Want. Your description and photos made me drool! Yum! I just tried falafel this year too — what a treat huh? I notice at least in my area different places make them differently.. one place adds cinnamon, wow is that a great kick. Would be nice if we had a little guide like that too! WOW! Wanted to stop by and thank you for visiting my blog. Then, when your site came up, what was looking at me? A Falafal. I am a displaced New Yorker, and we are going through some serious food w/drawals, since we haven’t been able to get home in awhile. This is seriously one of my favorite foods. I remember a place on the corner of 37th Street and Broadway, many years ago where you could order from the street, right in the window. There was also a guy with a cart on Pershing Square, which is by Grand Central Station. They were both the best, but of course only a couple of places. I hope your first experience with that food will not be your last, and I hope if was good. The thing is, if you’ve never had them before, then you have nothing to compare it to. I suggest you make your way into Manhattan and give the Falafal a whirl. Thanks again for visiting. im not a big vegetarian person but i def loved this! one day i ll try the falafel in NYC. thanks a lot for the comment! 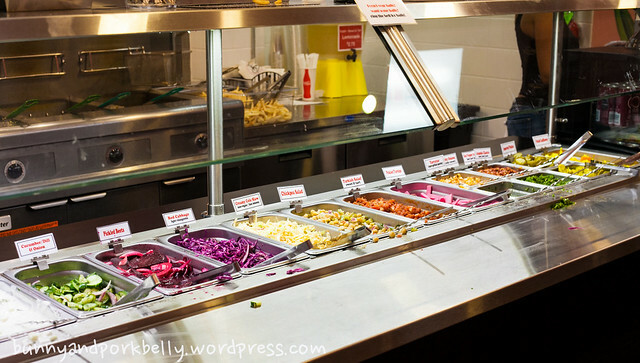 Oooh looks like you made some delicious choices with your toppings, the falafel looks really yummy! Enjoyed! Thanks for liking my thefinalcurtain1.wordpress.com post ‘Soliloquy.’ Have a great weekend. Great photos! Those look so good. Thanks for visiting my blog! YUMMM! Next time I’m in Boston…. wow that place looks great! 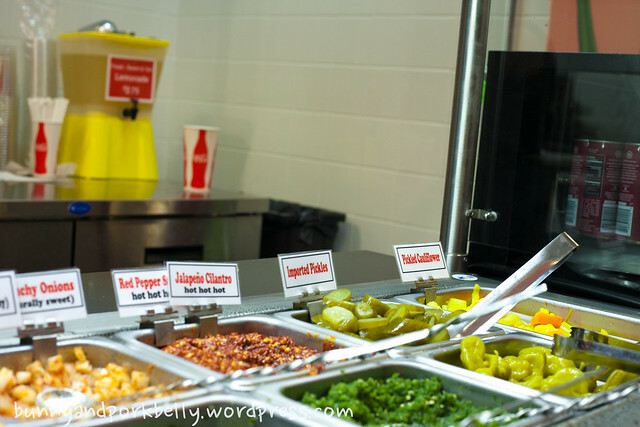 i love falafel, either with hot sauce or white sauce, but to have a toppings bar! what a great idea!! Was there recently and missed it! Thanks for stopping by my blog. they just opened not long ago! next time! That has really got my mouth watering! The ole hillbilly thanks thet them thare falafels is good eatin. I wish we had this in California! I wondered by a few weeks ago on a visit to Cambridge and popped in for a bite as well. The cold salad toppings were a hit with me and overall loved the concept. Your photos are over the top as well! Boston??? Now there’s a city I’d love to visit! OH that looks good! 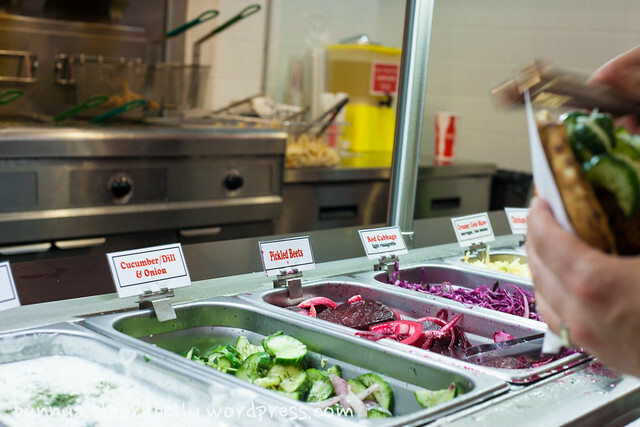 I’ve never had a chance to try falafel – didn’t know about the assorted veggie toppings. They look like they would make the basic sandwich taste really great! Love, love falafel but the best part is filling up with all the salads! Thanks for visiting my blog! Oh my . . .I Love to eat and this all looks YUMMY, i would eat and eat until it was time to eat again . . .I’m a dog so eating is what i do. I would love to see Amsterdam – how`s the temprature? This post made me hungry! Love the shop sign and the view from outside. looks like a lot of yum. I walked past there last week when going to Life Alive (think that’s their name, down the street) and thought maybe I should try the falafel sometime and now I will but I’ll be sure to crush my balls! That looks like wonderful Falafel! if you ever make it to Milwaukee, Lulu’s has AWESOME falafel. And they have homemade potato chips served with blue cheese dip! Delish! That looks so hella grubbin’! Never been out to the East Coast but I’ve heard a LOT about Christine’s. I will try this out when I go! Thanks for checking out my blog! I used to live in Amsterdam and had a favorite falafel stand there. Thanks for the great photos! I need a falafel, now! I think a compassion tea chai would work well with that! I’m sitting here salivating, and it’s only just afer breakfast!! Gorgeous pictures and great post, if I get to visit your area I’ll definitely stop off there! Thanks for stopping by my page!! When I was a young man, I used to go days, with just a falafel lunch every day. It is filling and healthy, and tastes very good. You don’t have to crush the balls. They are very tasty the way they are (if they’re made well). One of the characteristics of falafel, which does change from place to place, is the spices used. 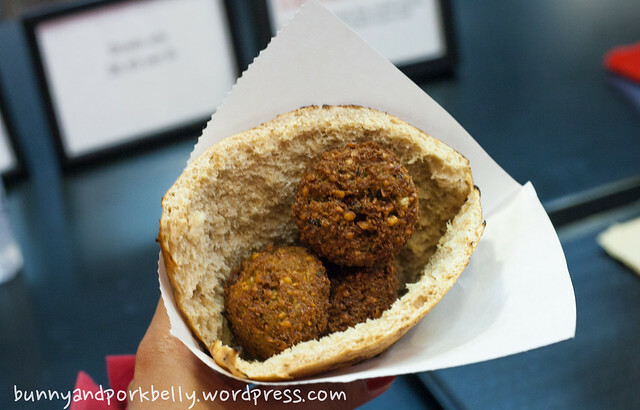 Come to Israel for felafel – it’s a mainstay here. Did you eat yours with French fries? That is a standard addition in Israel. great blog! 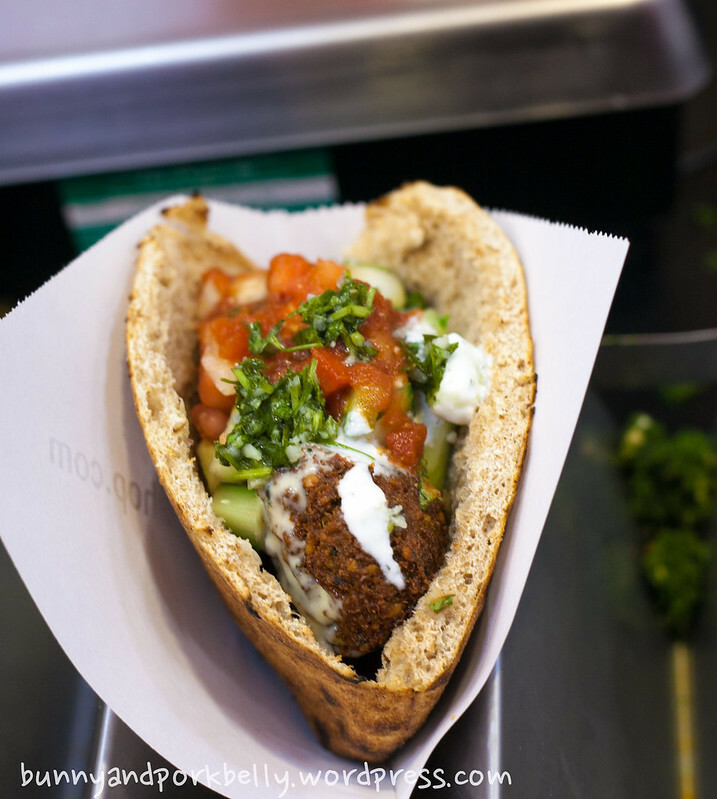 love the pics and i looove falafel 😀 you should try schwarma sometime – ah. may. zing! I’m a VERY long way from Boston, but this delicious-looking and sounding post has inspired me to try my local falafel takeaway next time I’m passing. Thank you for liking and following my blog. 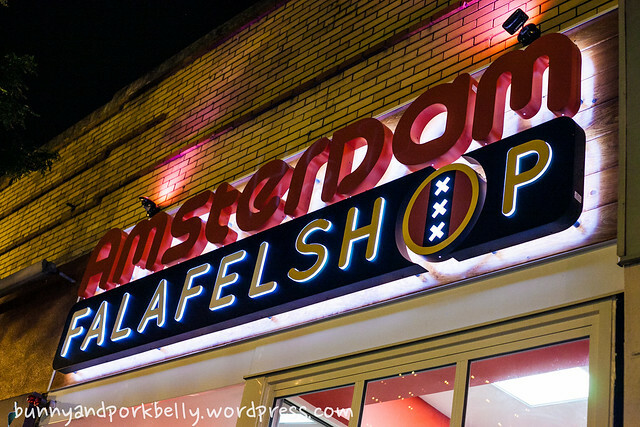 I just moved to Boston from D.C. and I missed late-night Amsterdam Falafel. It’s so delicious. Thanks for posting. 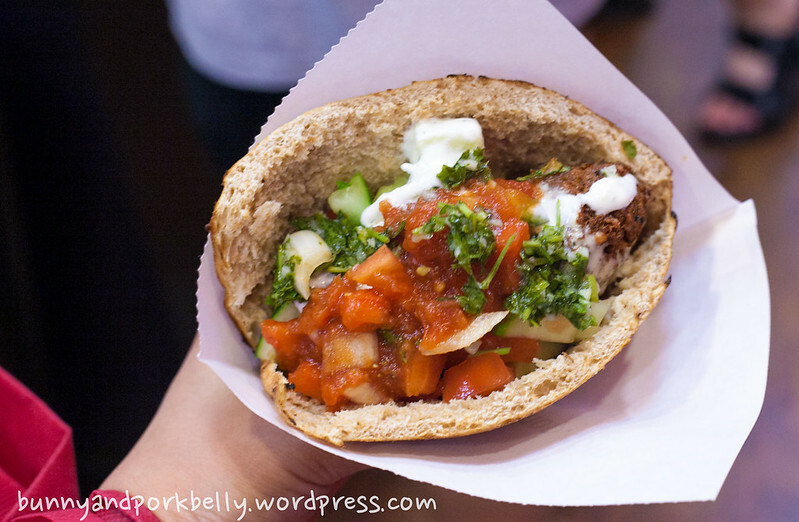 Yum yum… falafel! Looks FANTASTIC! I need to learn how to make those. oh so tasty. Mmmm wish i had 1-bring it to the UK! Wow, those falafel look AMAZING!! We love falafel so we will have to get there!